From the middle of March to early April is the time when calves are at the highest risk of developing health problems. It is during this time that calves are at peak, which puts everything on the farm under pressure. It is important to take some time to review everything around calf rearing on the farm. It is important to have a checklist for your calf rearing programme. So, what are the things we need to take into consideration to ensure calves are in good health at this time of year? Allow sufficient space for calves to reduce the risk of disease. Ensure access to clean fresh water. Maintain clean bedding for calves at all times– preferably in the form of straw. 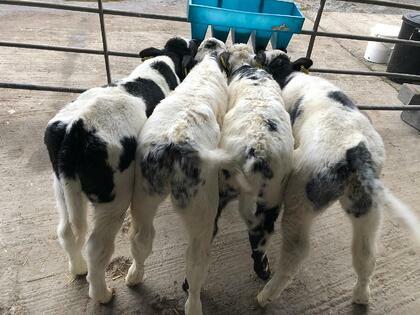 If you are tight on space,do not add more calves to the already settled pens. Plan ahead of the calving season, to allow for extra space like new shed or hutches. Weather permitting opt to get some early born calves to grass. Do not mix younger and older calves in the same area. Ensure all pens, are cleaned and disinfected before bringing in a second crop of calves. Keep all calf registrations up to date. Move out any calves you are selling as soon as possible. Ensure your later born calves are getting enough colostrum. Clean and disinfect dump buckets, calf feeding bottles and other equipment, these tend to accumulate dirt and are the primary carrier of disease over the busy period. As the calving season progresses calving pens become a major source for cryptosporidium scour infection for newborn calves. Clean and disinfect these or move them to a new calving area. Sick calves lead to more work and more stress which is the last thing a farmer needs during a busy calving season. Keeping in check with the above guidelines can help make a big difference to the health and welfare of the calf. Farmers will be all too familiar with the compliance requirements around calving, such as the necessity to tag and register calves within 27 days of their birth. This can be done in seconds and on the go with the Herdwatch App. 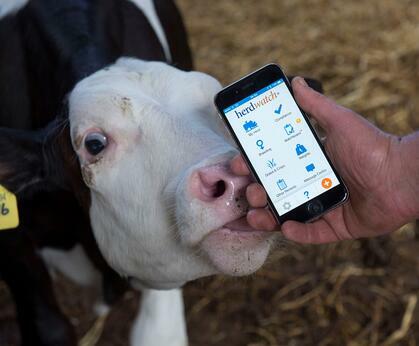 Herdwatch is fully compliant with Bord Bia and EU quality assurance standards, and allows farmers to register calves and manage cattle movements on their phone. It is fully integrated with ICBF so farmers can see their breeding, milk records and EBI/Eurostar information on Herdwatch. You too can join over 10,000 happy farmers saving time on farm paperwork and managing their farms more efficiently for FREE.